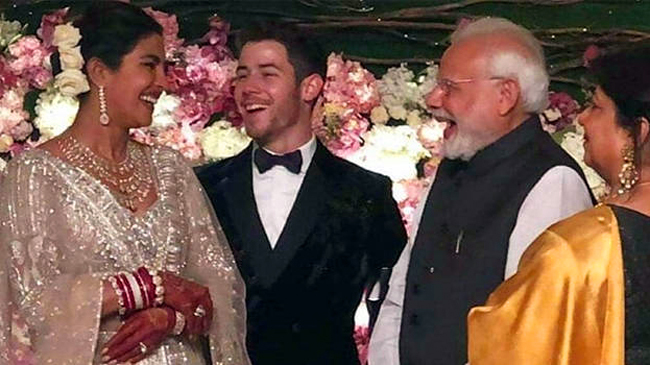 New Delhi, Dec 5: Prime Minister Narendra Modi wished a happy married life to Priyanka Chopra and Nick Jonas. 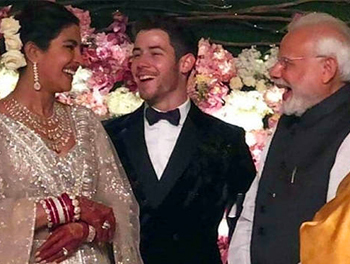 PM have time to attend Celebrity Weddings but dont have time to Meet Farmers & Discuss their problems. PM supporting Interrelegious marriage. Is the RSS and the Right wing ok with this ?